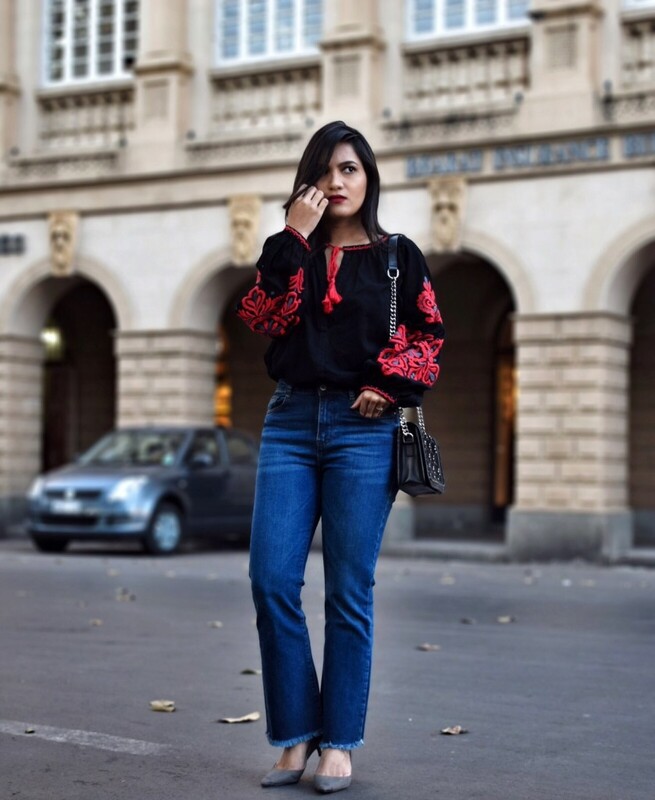 When it comes to sleeves this season it’s all about the drama. 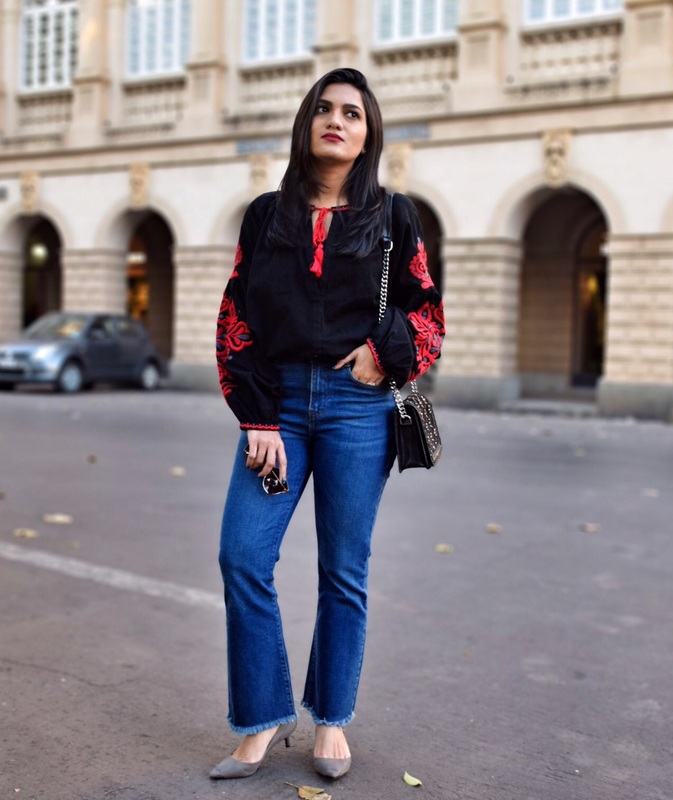 Moving over straight and narrow sleeves, since last season dramatic sleeves in the form of Bell sleeves, flared, ruffled, balloon, cut out, detached sleeves have ruled the runways and street style alike. 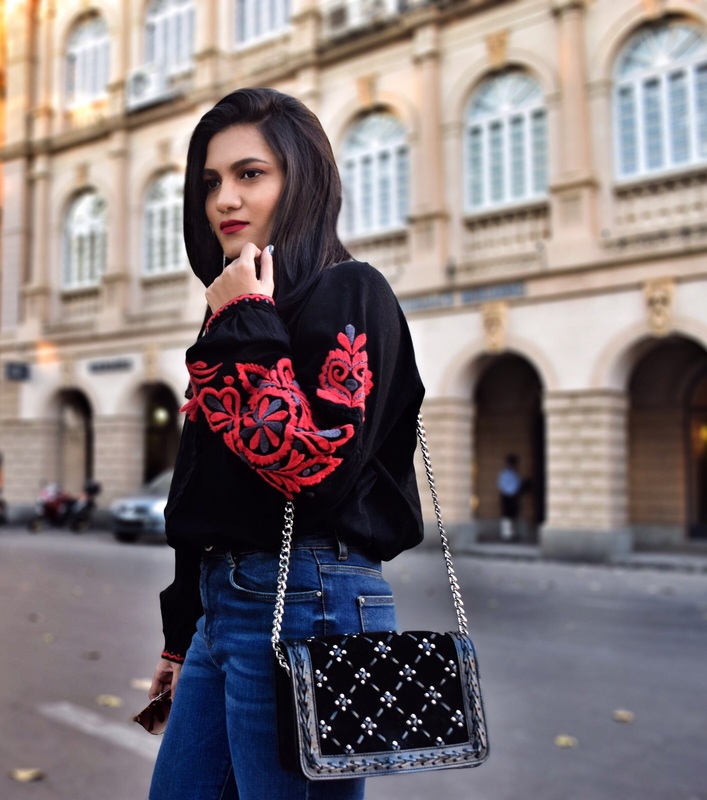 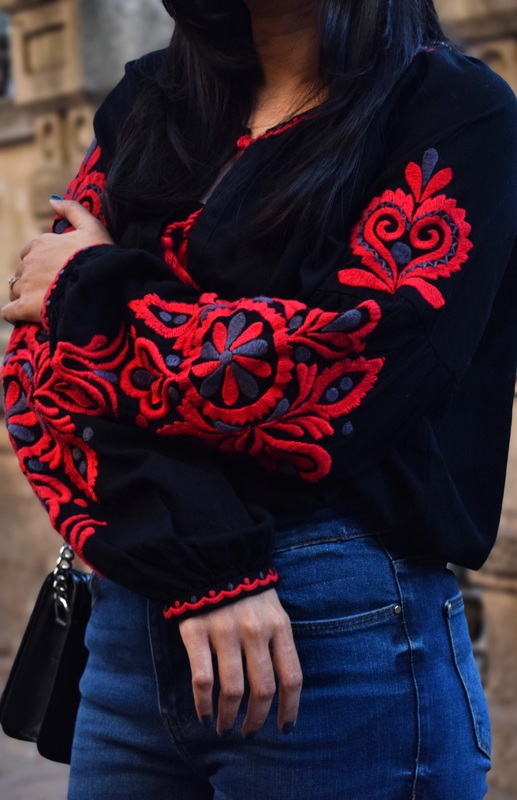 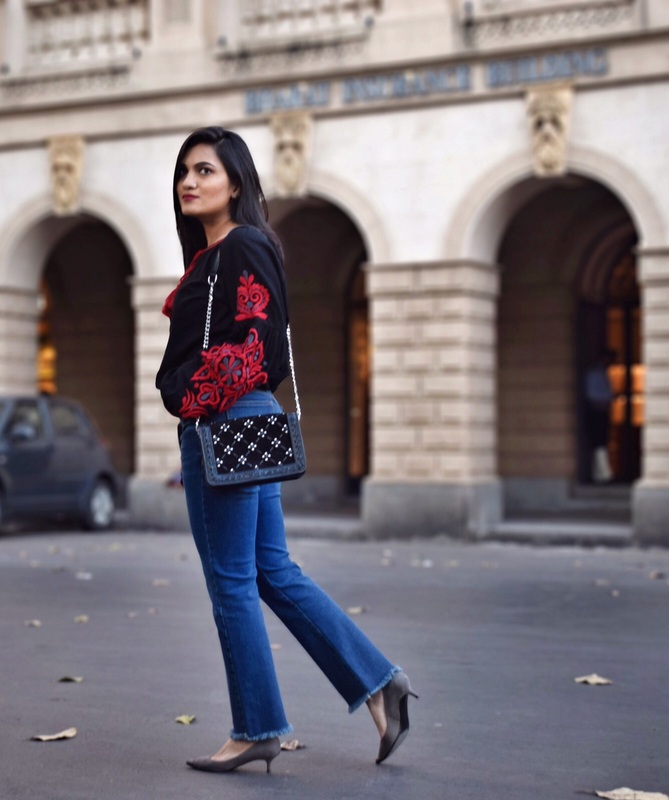 While I have given most of these styles a try for this look I choose this black Balloon Sleeves top with beautiful embroidery on the sleeves. 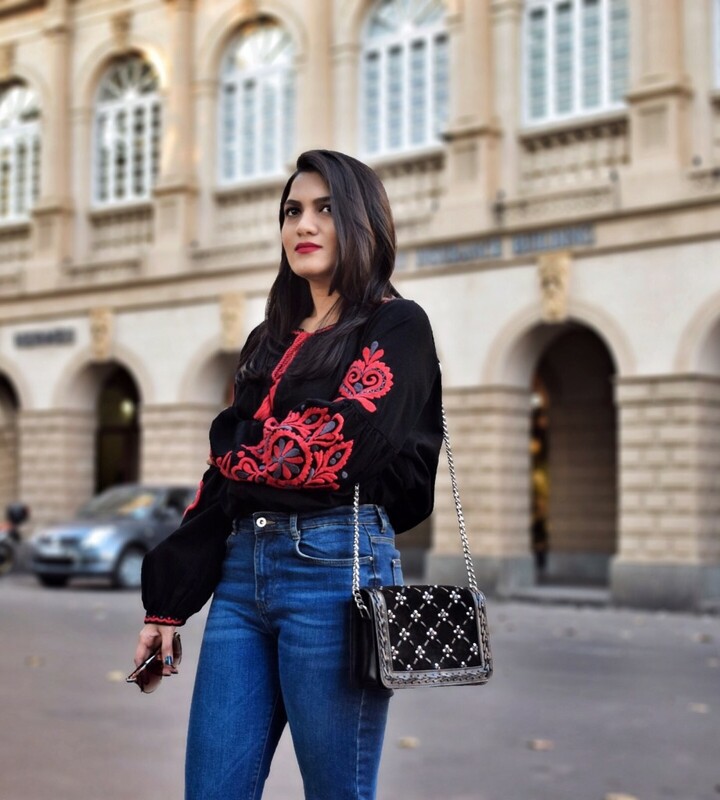 To streamline the look I paired the top with cropped flared jeans and grey pumps to match the beautiful embroidery on the sleeves.